The American Health Council has appointed Michael Feltes, MD to its Board of Physicians for his outstanding contributions to the medical field. Dr. Feltes is the founder of Mystic Geriatrics, LLC, a home visit based, concierge model primary care practice for the senior population of Southeastern CT and adjacent Rhode Island. Dr. Feltes’s interest in medicine originated in childhood. His grandfather, a physician in St Louis, allowed Dr. Feltes to accompany him on rounds in the hospital when he was young. After earning his medical degree from Rush University in 1982, Dr. Feltes travelled to Boston for his residency in Family Medicine at Tuft’s New England Memorial Hospital. Upon completion, he moved to Michigan to developed a rural primary care and nursing home practice for the National Health Service Corp. It was there he discovered his love of caring for the frail and aging population. This led him to pursue additional training. He entered the geriatrics fellowship program at University of Connecticut’s prestigious Center on Aging in 1988 and received board certification in Geriatrics upon graduation. Hospice and Palliative Care boards followed. While serving on the faculty at the University of Connecticut School of Medicine & the Center on Aging, Dr. Feltes was appointed Medical Director of Uncas on Thames Hospital (at the time one of only 98 licensed long-term care hospitals). During this tenure he published with University of Connecticut geriatrics and Yale University oncology research teams. In 1994 he created Sound Seniors Geriatrics. This practice grew to encompass ten nursing homes and three hospice organizations where he served as Medical Director. His team of geriatricians and Advanced Practice Nurse Practitioners cared for patients for twenty years until he sold the practice and created his third and current business venture, Mystic Geriatrics, LLC. Dr. Feltes’ new practice, Mystic Geriatrics (www.mysticgeriatrics.com), is a uniquely structured primary care medical practice dedicated to caring for the aging population (average age is 80). Along with his geriatrics Nurse Practitioner, Dr. Feltes most often sees patients in their homes garnering invaluable clinical insights. The practice maintains several small offices as an option, but home visits alleviate the stress of getting to the office and eliminates the “clinic experience”. He and his staff follow their patients as they transition to assisted living, nursing homes and hospital. Dr. Feltes maintains that home visits not only provide an important comfort to his patients, but also serve to further assess overall functioning. By assessing not only medical needs, but care-giving adequacy, safety, nutrition and other factors that impact a patient’s life, the practice is brought full circle, back to a time of full physician engagement in the community. 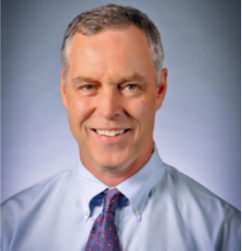 Dr. Feltes’ care and advocacy for the geriatrics population extends into his involvement in professional organizations including the American Academy of Family Physicians, the American Geriatrics Society, and the American Medical Directors Association. A Christian, he is a member of the Congregational Church of Salem, Wycliffe Bible Translators and Compassion International. He loves swimming, bicycling, skiing and music. Mystic Geriatrics, LLC is a medical practice designed to promote the health of Southeast Connecticut’s seniors. Based in Stonington, staff provides state of the art senior care in its patients’ homes or in the offices. Dr. Michael Feltes and his team are dedicated to promoting senior health, quality-of-life and dignity in a manner that complements each individual’s physical, psychological and spiritual needs. Key aspects of the Mystic Geriatrics practice include advanced care planning, medical management of acute and chronic conditions, medication management and drug reduction, the maintenance of mobility and physical function, care coordination with specialists and more.